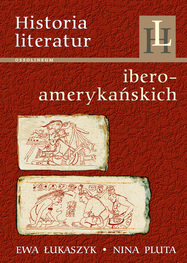 (with Nina Pluta) Historia literatur iberoamerykańskich [History of Iberoamerican Literatures], Wrocław, Ossolineum, 2010, 768 pp. The book is an extensive presentation of the Latin American literature written in Spanish and Portuguese. My part in it (pp. 591-738) is the presentation of the Brazilian literary history, since its colonial beginnings till the dawn of the 21st century. The approach is divided in five chapters, going from the European discovery, the colonial period and the dawn of Brazilian identity till the idiosyncratic conceptualization of post-modernity in Brazil. The main axis of this narration in literary history is given by the search for a definition of "Brazilianness", the concept "verde-amarelo" in permanent de/re-construction.